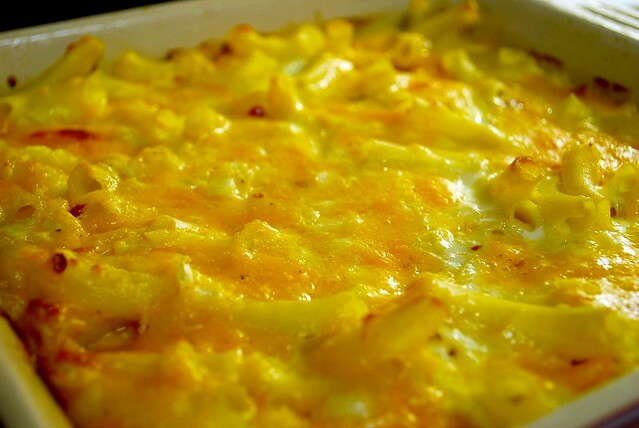 Mac ‘n’ cheese is the food of my dreams, the food of my childhood, the food of my adulthood. I don’t think I ever met a bowl of mac I didn’t like. I’m going to come out and admit, flat out, that I am not too proud to make the occasional Kraft Mac ‘n’ Cheese – heck I practically grew up on the Blue Box. And I have been known to eat Velveeta Shells and Cheese right out of the pot, while sitting on the couch indulging in a sappy chick flick. I like mine with broccoli, I like it with bacon, I like it baked, I like it from the stove-top. Your comments and requests, dear readers, do not fall on deaf ears. Added bonus? No slaving over a hot stove – this recipe is extra easy, with no beschemel sauce to cook. With that, I am proud to unveil, my S’Mac ‘n’ Cheese! 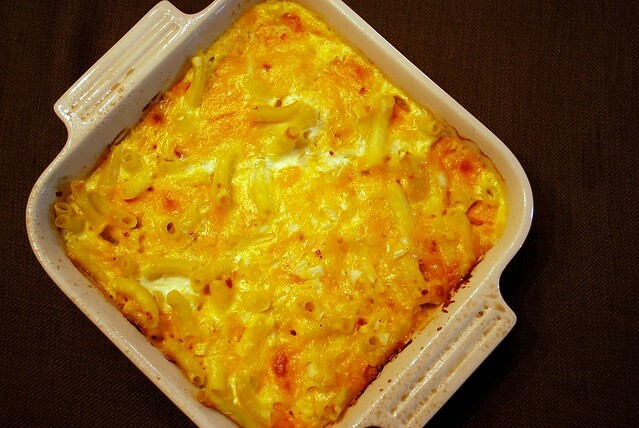 This is an incredibly flavorful dish, highlighting the sharp cheddar flavor while bringing a subtle heat and a soft onion flavor to the foreground. You will be smackin’ your lips . . .
Preheat your oven to 350 degrees. Bring a large pot of water to a boil. Sprinkle in some salt. Add the noodles and cook until al dente, according to the box instructions. Meanwhile, grease an 8×8-inch baking dish. Drain the noodles well and pour them evenly into the prepared dish. Sprinkle in the cubed cheddar cheese, and mix gently until evenly distributed. Set the dish aside. Measure the flour, the salt, the dry mustard, black pepper, cayenne pepper, and nutmeg into a large mixing bowl, stirring the ingredients together. Add the sour cream and eggs, whisking until blended. Next, whisk in the onion, half-and-half, heavy cream, Worcestershire, and tobasco until the mixture forms a custard-like sauce. 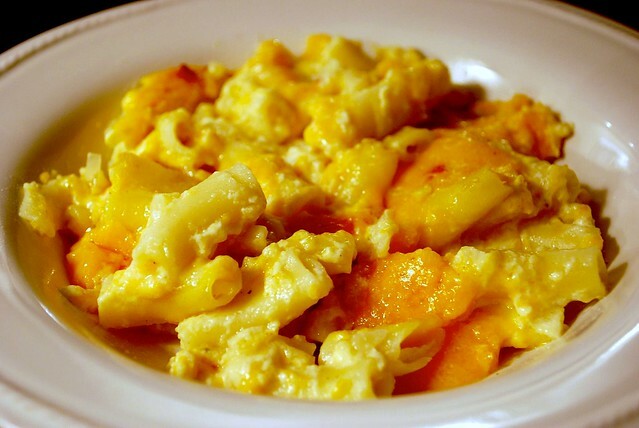 Pour this mixture over the macaroni in the baking dish. Finally, sprinkle the grated cheese evenly over the top. Bake until the custard sauce sets around the edges but is still a bit saucy in the middle, about 30 minutes. After baking, allow the dish to cool for at least 10 minutes before serving. Enjoy!